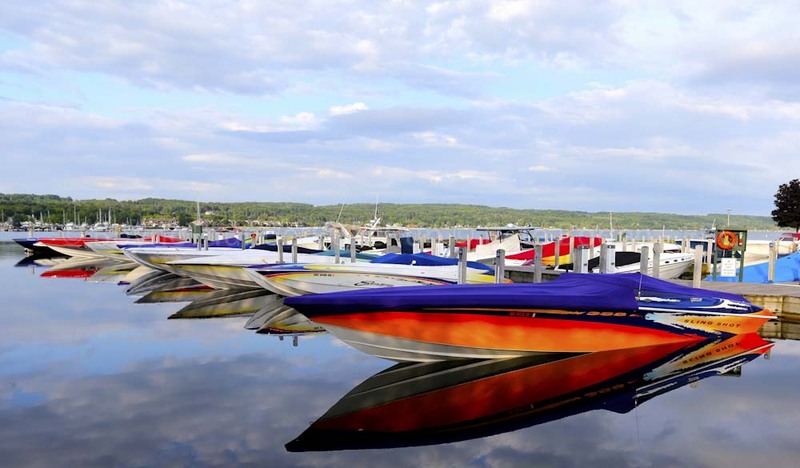 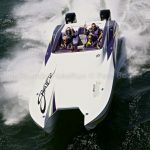 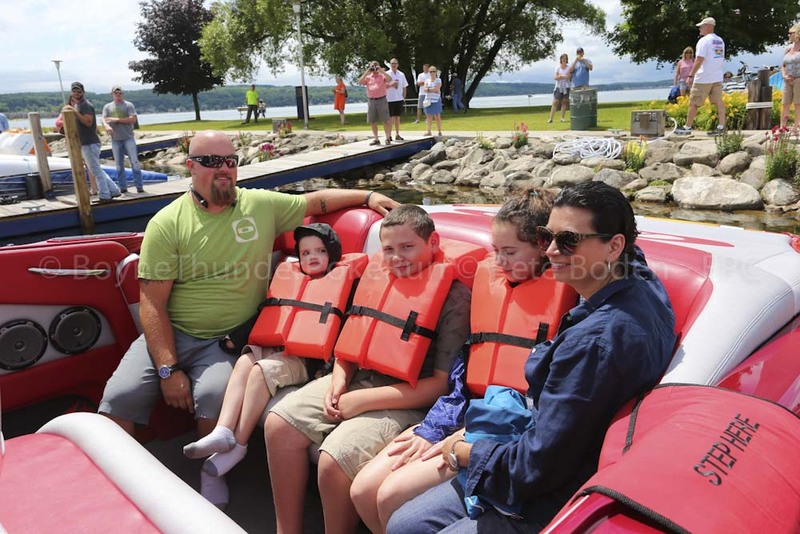 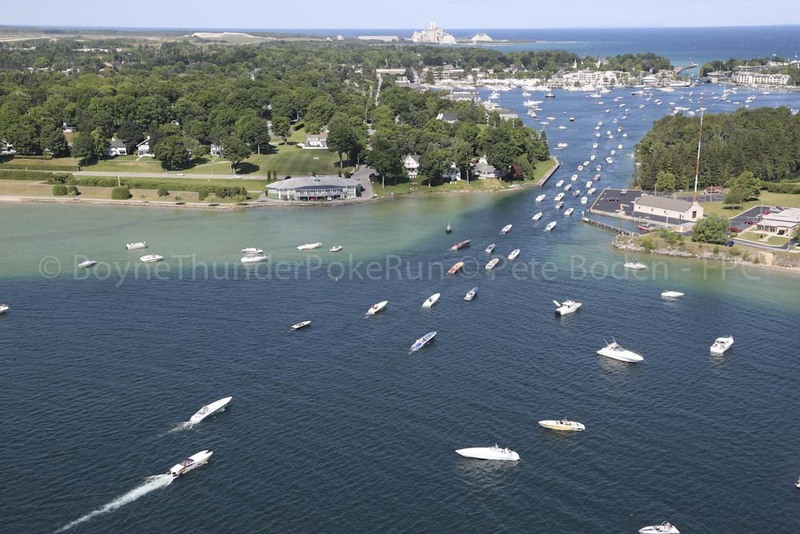 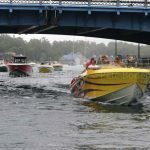 Boyne City, Michigan hosted yet another fun–filled Boyne Thunder Poker Run! 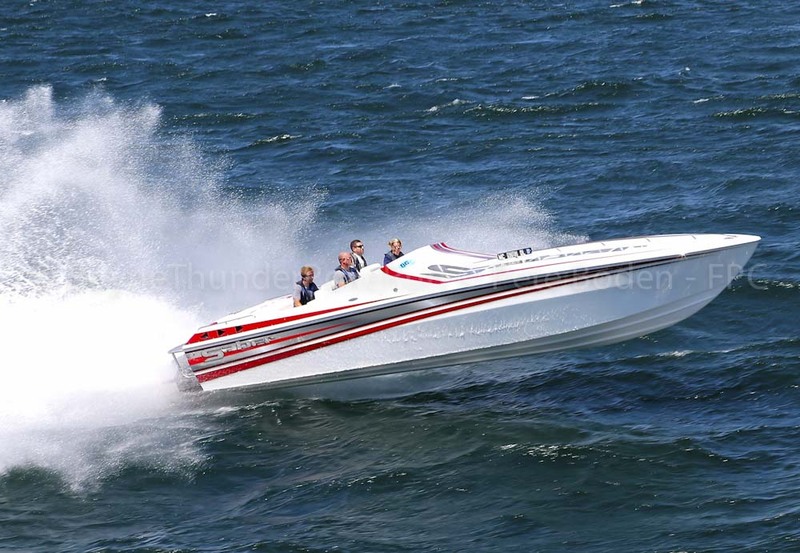 The weather was great, the girls were beautiful as always, and the powerboats were in high volume. 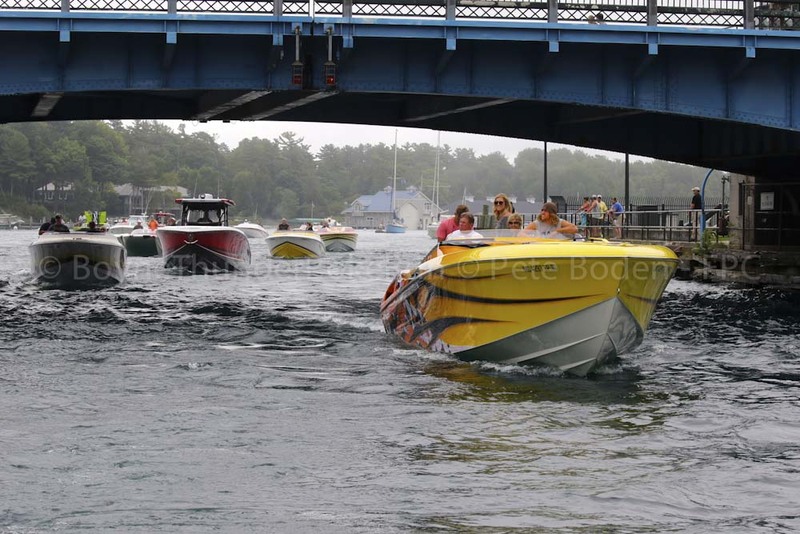 Check out the gallery, below, for a sneak peek at the action that took place in Boyne City! 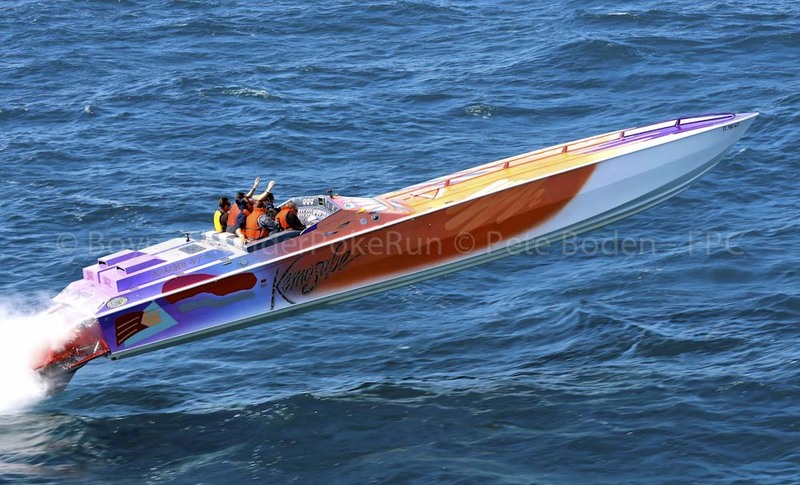 Photo courtesy/copyright Pete Boden/Shoot 2 Thrill Pix. 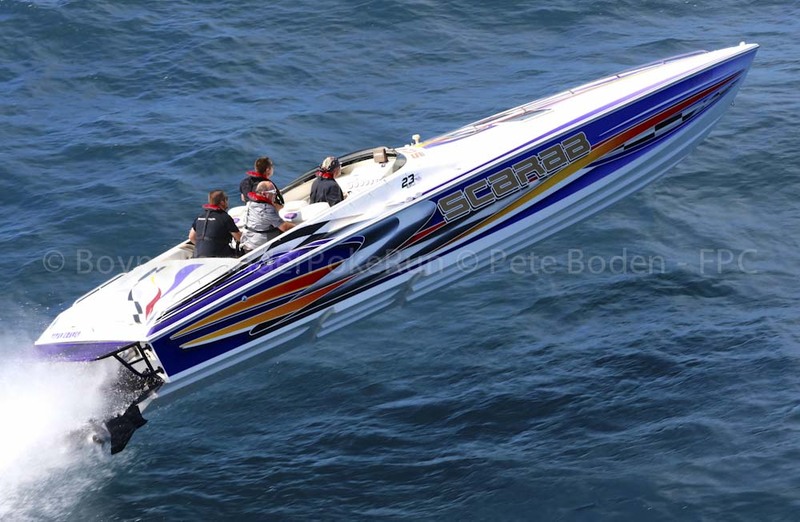 The gallery, above, was captured by both our own Stu Jones, as well as Pete Boden of Shoot2Thrill pix. 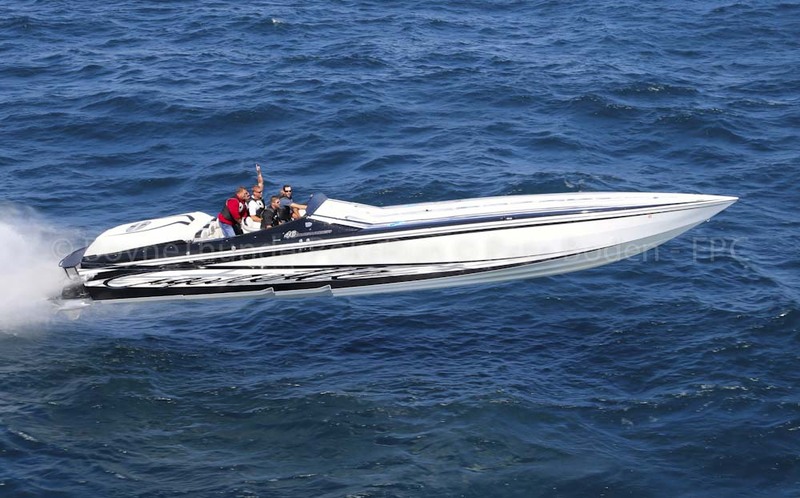 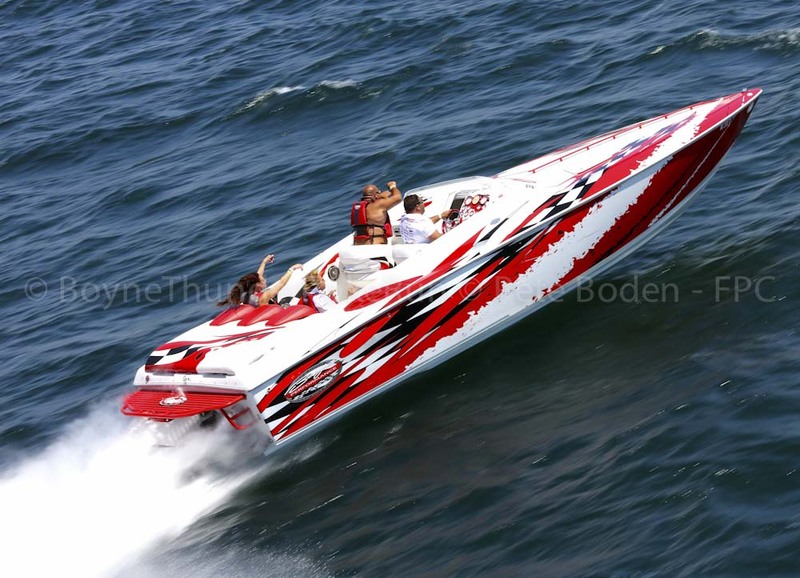 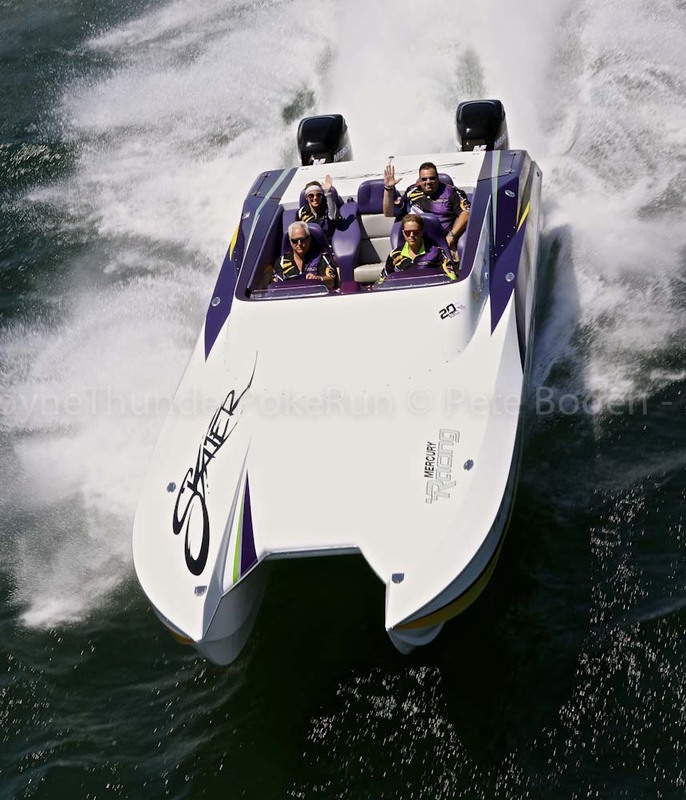 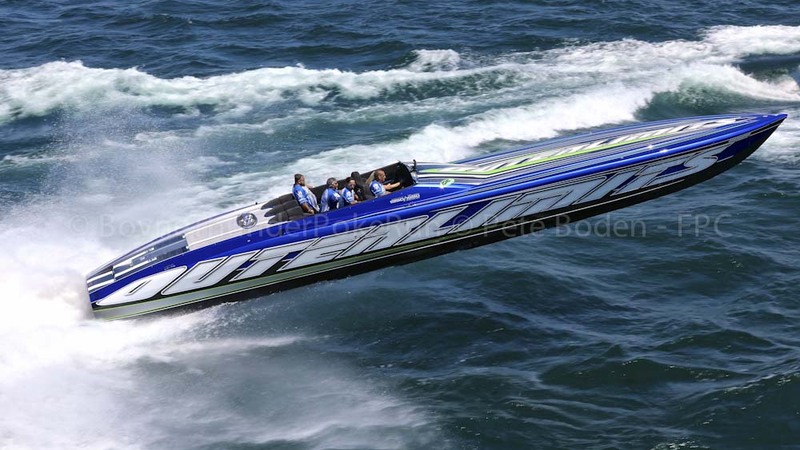 Boden is a highly popular photographer in the world of powerboating that is known internationally for his work. 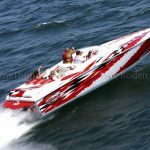 Boden describes himself as “52 going on 30,” and is a U.S. Navy veteran who works full–time in the heating and air conditioning world. 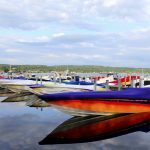 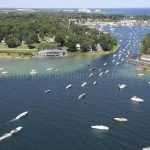 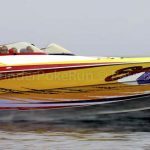 A self–taught photographer who has essentially grown up in the powerboating world, he has talked many times of growing up watching the Gold Cup in Detroit. 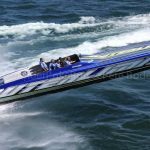 He began his venture in photography as a teen when his mother bought him his first camera, and it didn’t take long for two of his favorite passions to merge as he decided to provide a unique point of view by utilizing his experience both participating in and witnessing racing events. 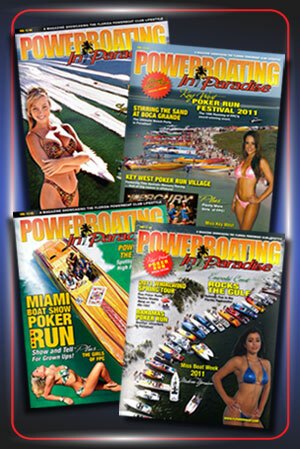 After learning some from Powerboat Magazine photographer Tom Newby, he officially began shooting in 2006 among other industry professionals like Lai, Dawson, and Winters. 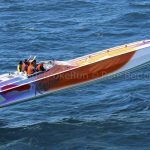 His photography has since taken him all across the nation, as well as international hubs for offshore racing like Doha, Qatar. 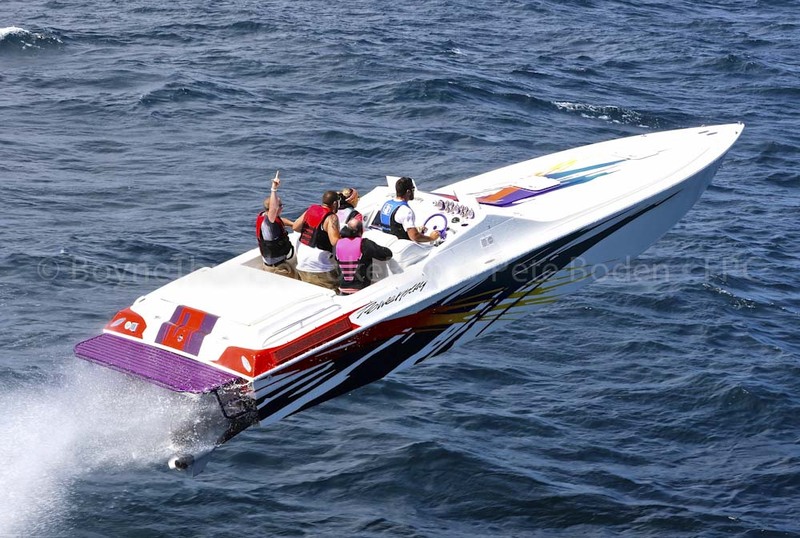 The rest… well… is history. 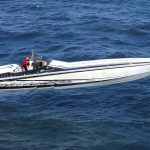 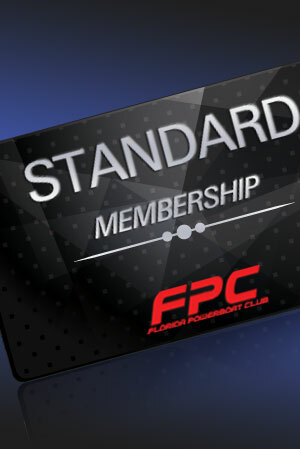 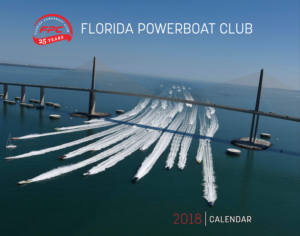 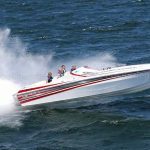 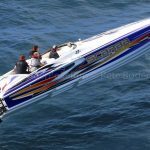 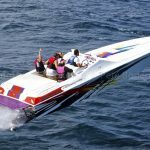 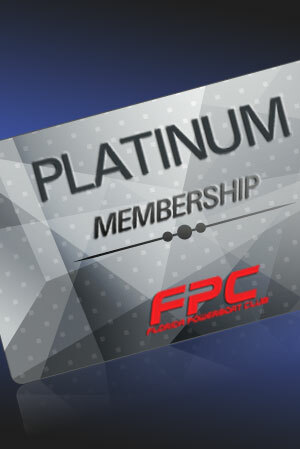 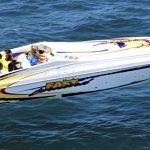 Florida Powerboat Club thanks Pete Boden for providing the amazing photos, above, covering the 13th Annual Boyne Thunder Poker Run.